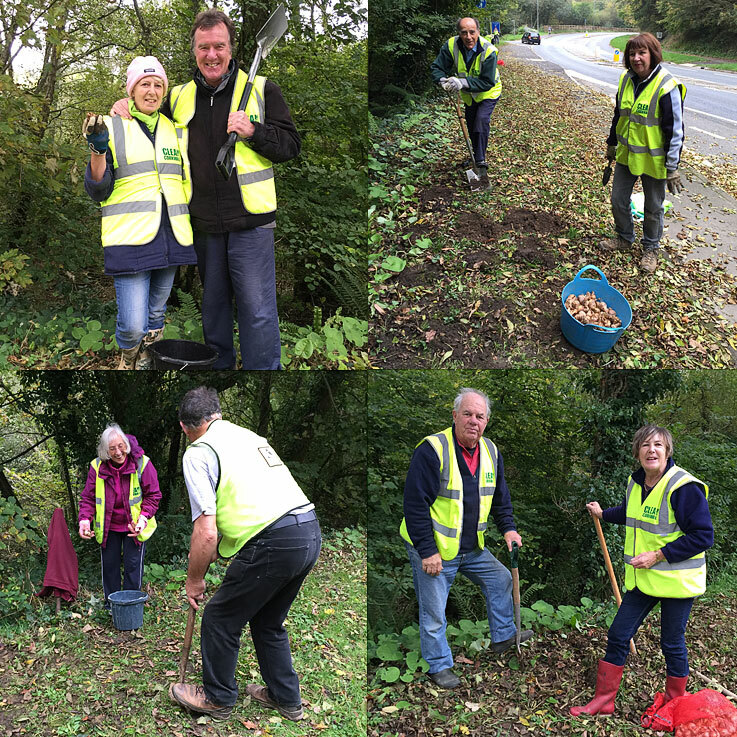 More than fourteen volunteers took part in a mass daffodil planting along the village’s A390 grass verges over two Sunday’s in October, the 23rd and 30th. Some 5,000 daffodil bulbs were planted during the two days, bringing the total planted in recent years by the Tresillian Village Improvement Group to 23,000, which, of course, will naturally multiply over time. 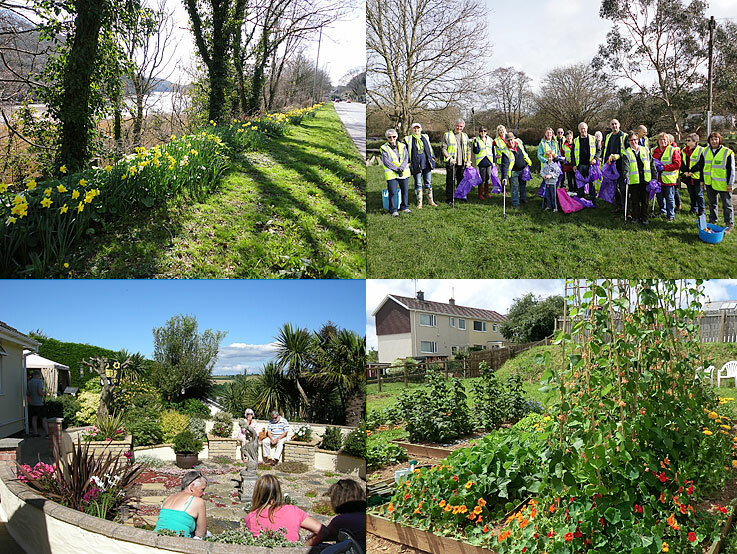 October 2016 – South West in Bloom 2016 ‘It’s Your Neighbourhood Award’. 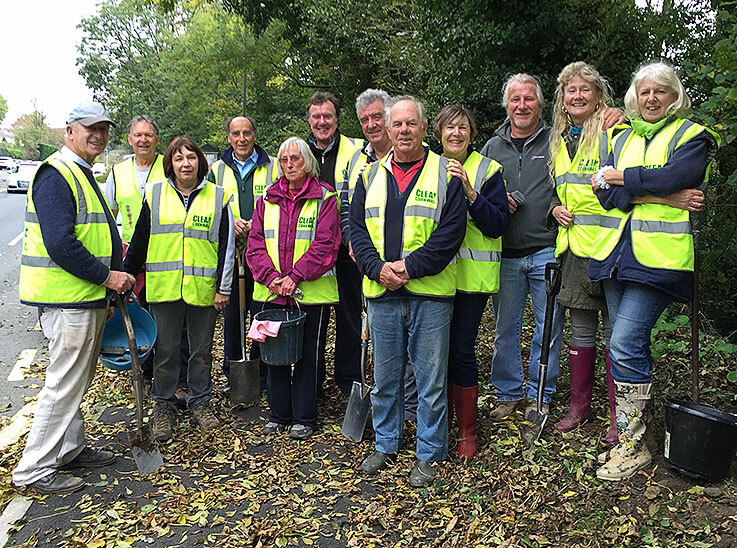 The Tresillian Village Improvement Group has recently been awarded the top level of ‘Outstanding’ by the Royal Horticultural Society and South West in Bloom at a Britain in Bloom award ceremony held on 6th October 2016 at The County Cricket Ground, Taunton, Somerset. 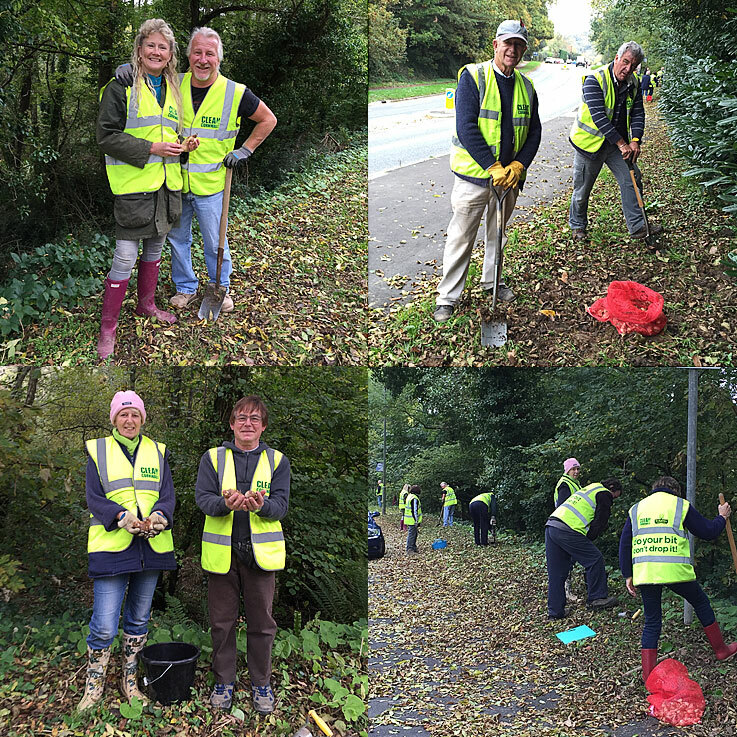 The South West in Bloom assessor took into consideration schemes such as the planting of many thousands of daffodil bulbs along the A390 grass verge, the village ‘Clean for The Queen’ litter picking, the Tresillian Village Open Gardens event and our village allotment site. It’s Your Neighbourhood is a unique scheme for volunteered community gardening projects/groups which are focused on cleaning up and greening up their local area, whether that is the estate where they live or the back alley they share or the local community centre’s outdoor space. It’s Your Neighbourhood is an inclusive, non-competitive scheme which welcomes projects/groups of all kinds. Following the assessors’ visit, certificates of achievement are presented to all participating groups at annual award ceremonies organised by the Regions/ Nations in Bloom. 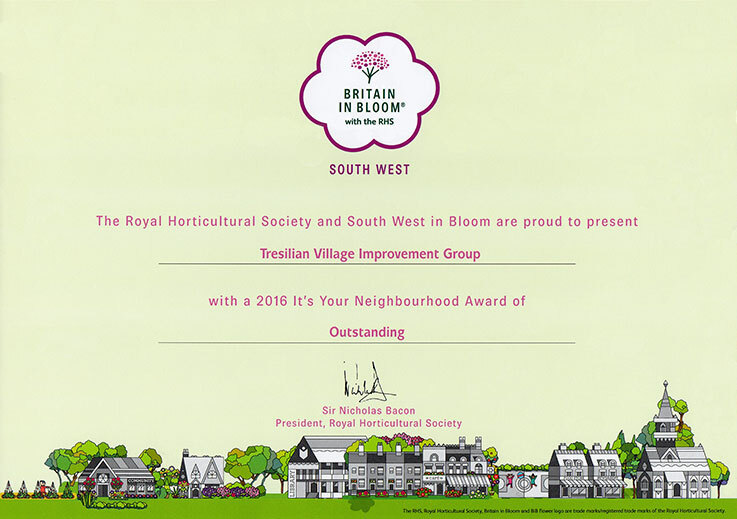 The Tresillian Village Improvement Group would like to thank the many volunteers that turn out to help and support the various schemes and events that led to this award being given. 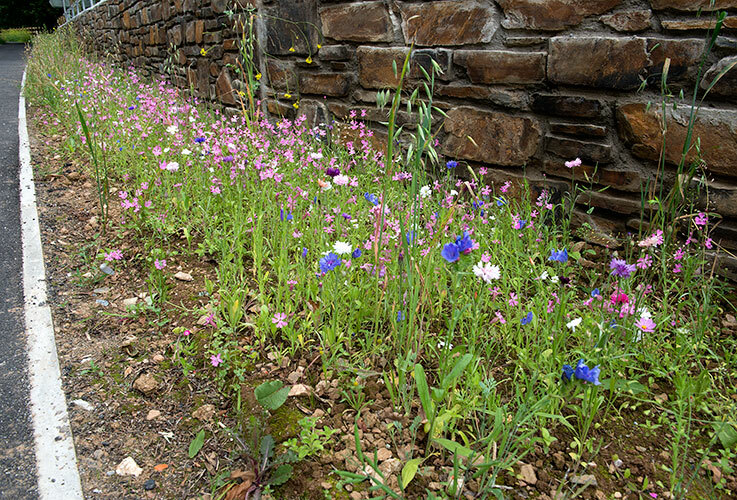 Earlier this year wildflower seeds were sown by the Tresillian Village Improvement Group on a section of roadside on the A390 close to the new cycle/walkway bridge at Trevalla Stream. 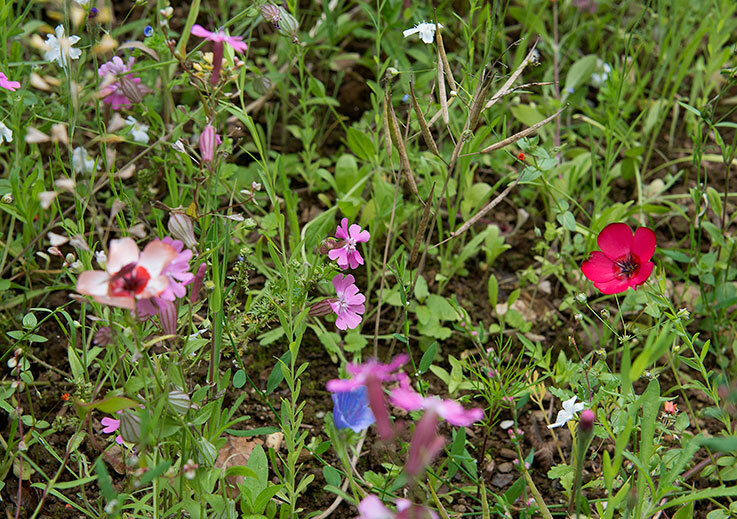 The area to be sown was carefully prepared by raking over before sowing followed by walking purposefully over the broadcast seeds to ensure close contact wth the soil as an aid to germination. 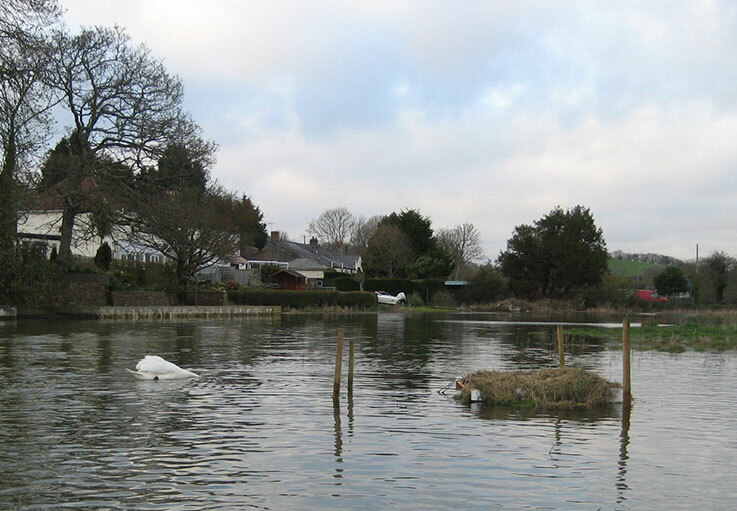 Due to the dry conditions at the time a good soaking was essential followed by similar regular watering for a number of weeks afterwards during a prolonged period of relatively low rainfall. 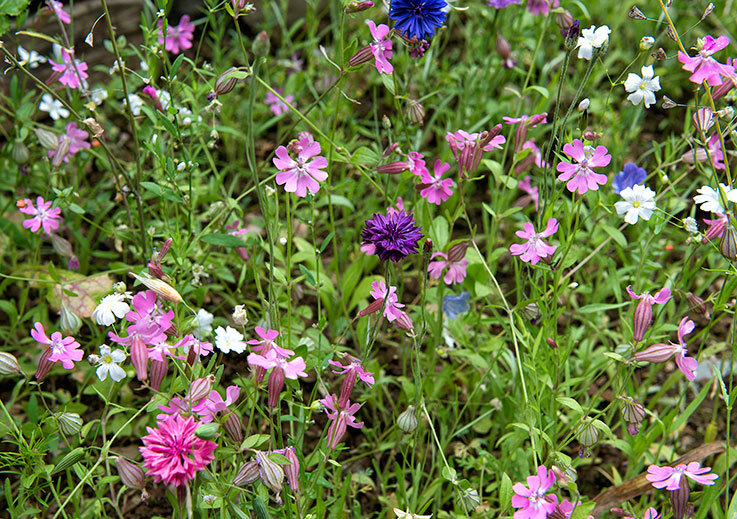 Happily, the seeds not only germinated exceptionally well but the resulting plants are now fully in bloom and looking healthy. 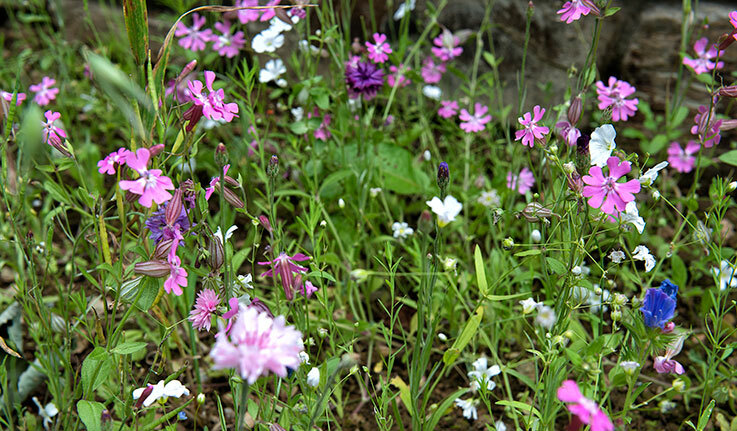 It is hoped that some of the plants will go on to set seed for the following year. 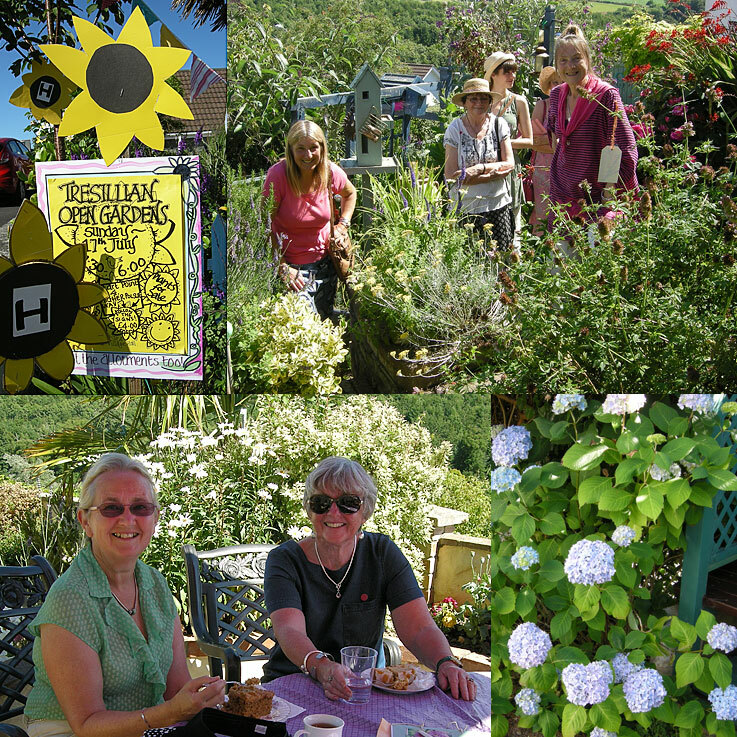 A gloriously sunny afternoon saw several gardens open for visitors to explore at their leisure to raise money for charity. 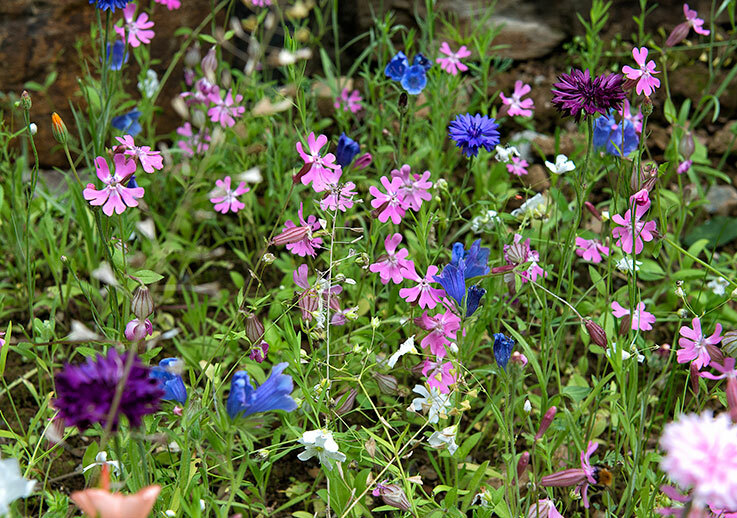 All of the open gardens being within easy walking distance of each other. Teas & homemade cakes were available at a well sited spot. 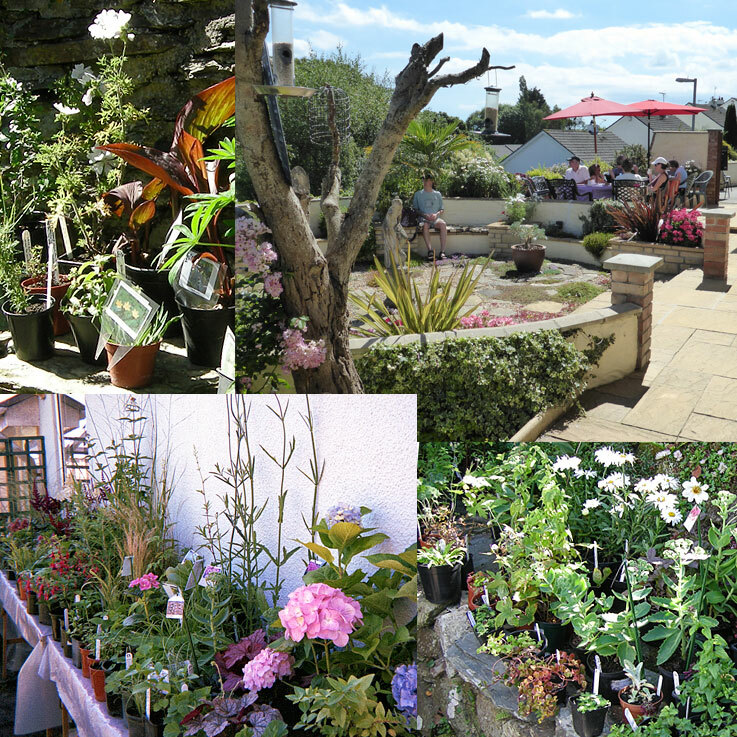 A wide variety of great value plants for sale. Most of the gardens are on sloping ground and have been a challenge for the owners to design and construct. 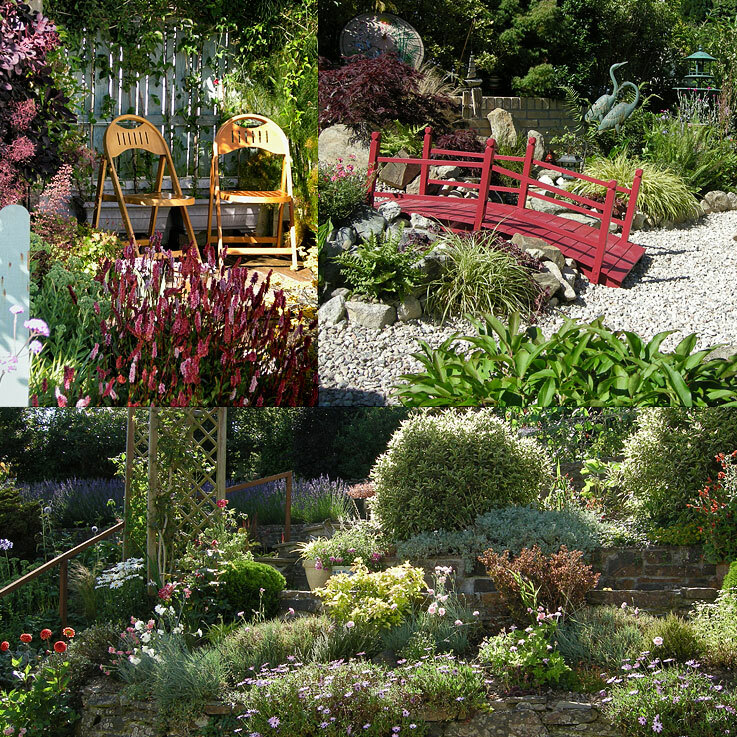 Trees, shrubs, flowers and vegetables make up an array of textures and colour, with each garden having an individual touch creating a selection of interest for those that visited. 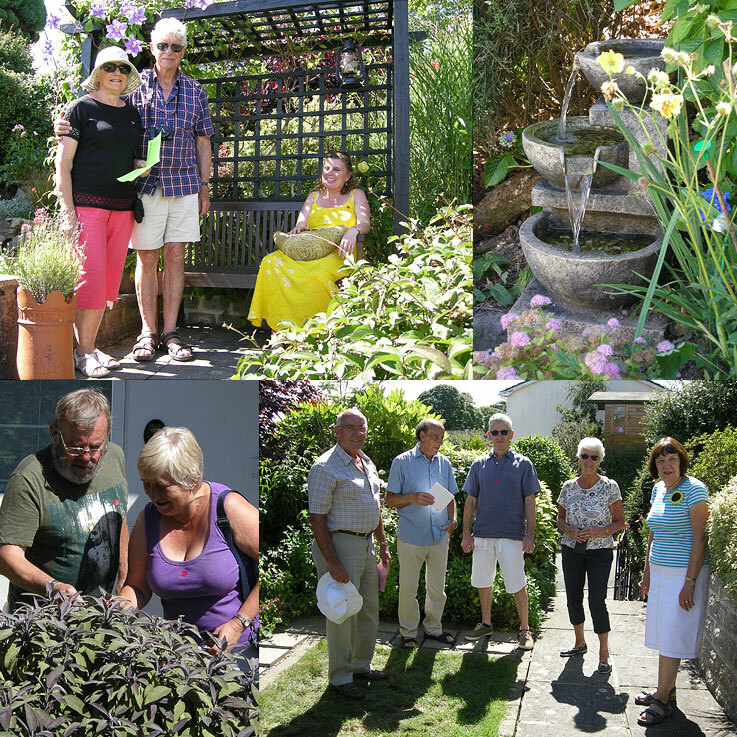 Owners were on hand to greet visitors and answer questions passing on their experience of gardening in Tresillian. 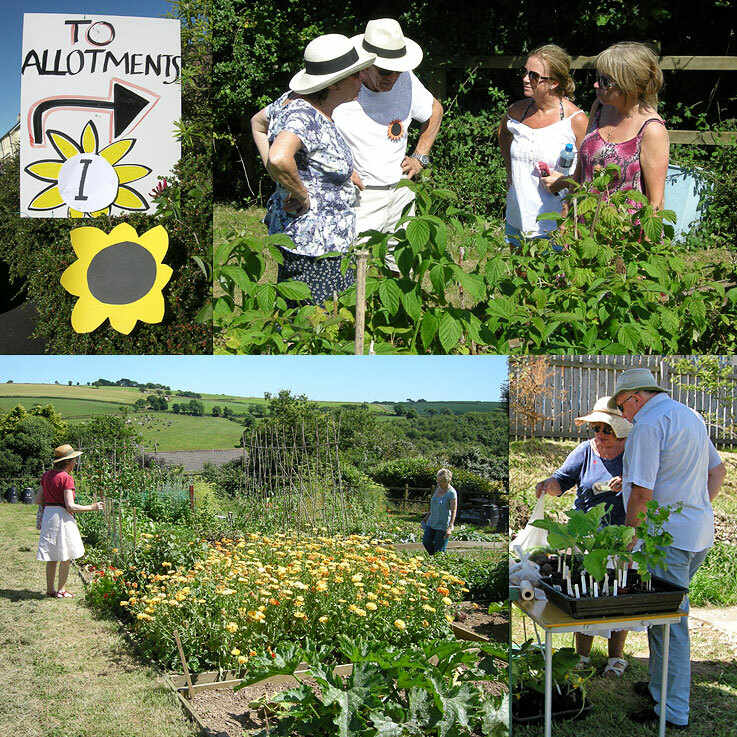 For only the second time the relatively new, but by now looking well established, Tresillian Allotment Association’s site was also included as part of the open gardens day. It was estimated that 152 people attended, some from nearby as well across the county of Cornwall plus a number from other parts of the UK including Gloucestershire, the midlands and East Anglia. Also, a British couple now resident in Germany but on holiday in Cornwall saw the signage in the village and decided to pay a visit. In all a total of £1,299 was taken on the day made up of £610 at the gate, £310 for refreshments, £355 from plant sales and a £99 donation, which less expenses of £39 left £1,265 for charitable donations. The major benefactors being The RSPCA and the Tresillian Village Hall with £500 each, a donation of £200 also went towards the village defibrillator fund. The remaining £65 was allocated to the church and allotment association. Despite dubious looking weather at the start of the day the gloom and clouds eventually dissipated with the sun coming out of hiding just at the right moment, and thankfully staying with us throughout the length outdoor event. The setting could not have been more appropriate. Situated beside the Tresillian River on a grassy bank behind the thatched Wheel Inn, that is reputed to have its origins as long ago as the 14th century, lent a sense of atmosphere that would be difficult to equal. 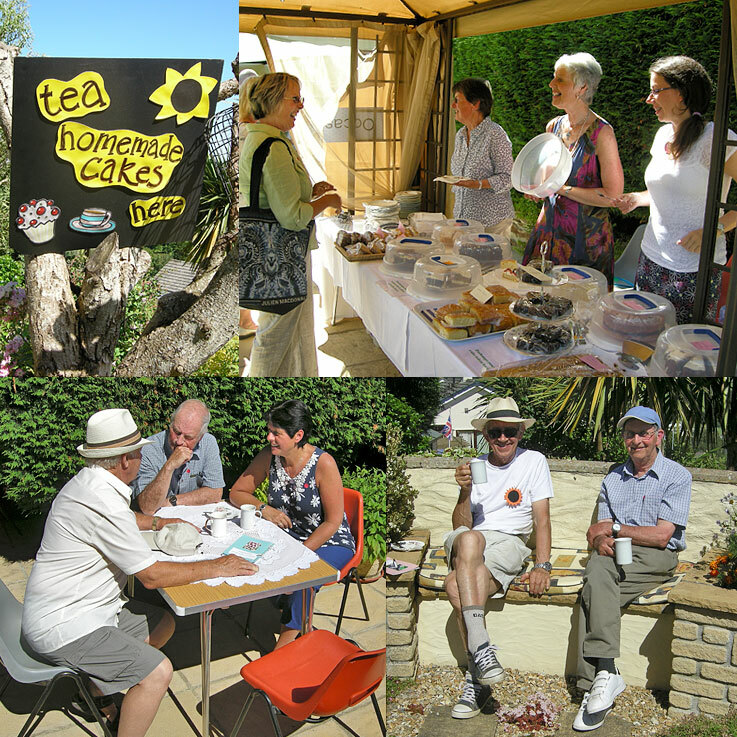 It was estimated that over 80 people of all ages attended the celebration during the two hours enjoying delicious cream teas and cakes for sale which were generously made and donated by a number of villagers. The large amount of visitors surprised the organisers, the Tresillian Village Improvement Group, and beat all their expectations. The highlight of the afternoon took place when two senior lady residents of the village, Margaret Maycock (93 years) and Beryl Vickary (90 years this year) jointly cut the magnificent, towering special 90th birthday celebration cake made by Jackie Goodway. Rev. Canon Linda Barley said grace, led the singing of the national anthem and thanked everyone for attending the event as well as organisers and helpers for making it all happen. During the proceedings a raffle was held to also raise funds for the various village improvement schemes that brighten up the roadside verges and war memorial. Overall, the total sum of money raised during the afternoon was almost £280, with an expenditure of £45 for jam and cream this then left approximately £235 remaining. Tresillian Village celebration for Her Majesty Queen Elizabeth II 90th Birthday. Photos: © Keith Littlejohns. Music: Master of the Feast © Kevin MacLeod. (Last photo in the sequence: Left: Margaret Maycock (93 years), Right: Beryl Vickary (90 years this year, 2016). 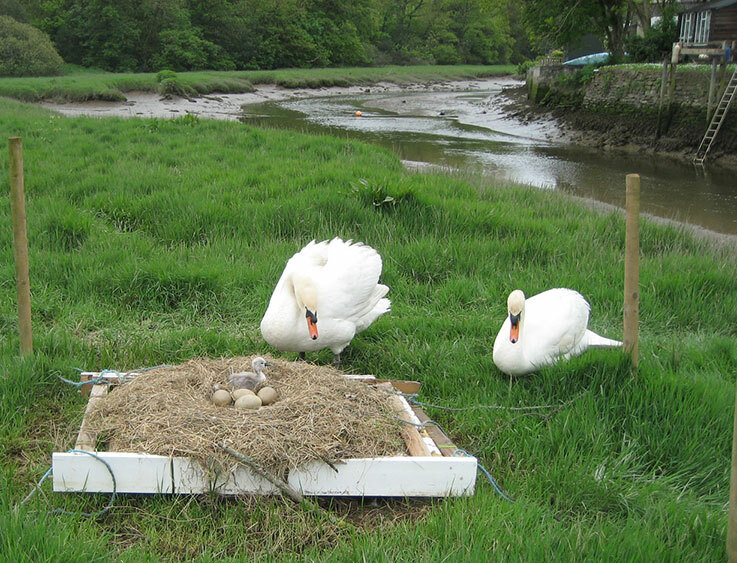 During March 2016, a pair of swans were observed nesting on the grass embankment of the Tresillian River opposite the home of Phillip and Linda Buddell. Phillip relates that on March 7th the pen laid a single egg, followed by a further 5 eggs since then. 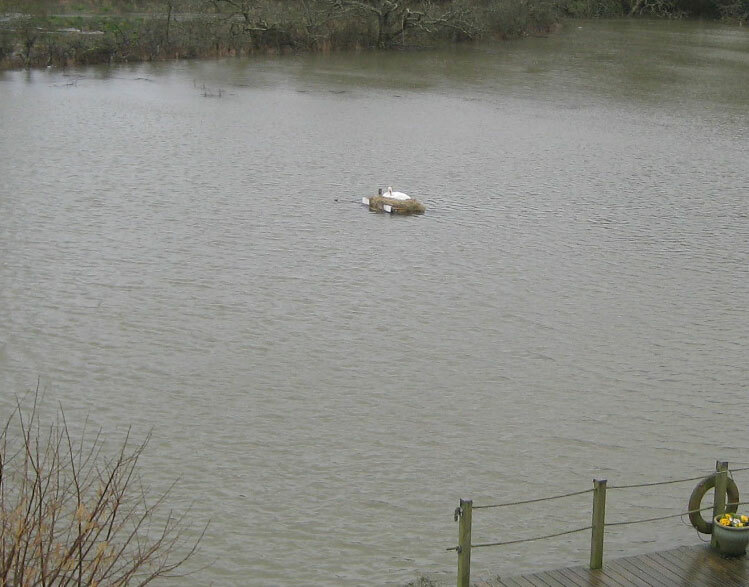 So far, one signet has hatched and appears to be in healthy condition. Sadly, the remaining eggs are now probably no longer viable as it has been quite some time since they were laid. 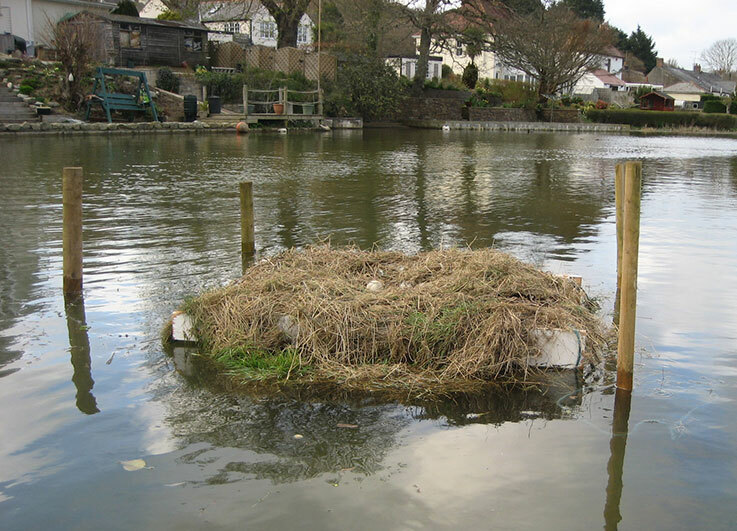 Phillip has written an extended article with an explanation of how he and Linda helped the new family to survive the rising spring tides. This will be published in a future edition of TRAM. The following photos were taken by Phillip and are reproduced here at his request.